Perth, 1943. A time for taking chances. Eleanor ‘Nell’ Fitzgerald is smart – inside and out. For now, she writes helpful fashion advice for a local rag, but is bursting with ambition and plans to marry her lawyer beau as soon as he returns from wartime service. When she meets the handsome, famous and oh-so-charming Johnny Horvath of the American Press Corps, she finds herself dragged into a murder mystery. Convicted of the murder of her artist lover, Lena Mitrovic is languishing in Fremantle Gaol. Johnny is sure of Lena’s innocence and ropes in Nell to help him find the truth. During their investigation, they uncover some seedy secrets of wartime Perth: the other side of the “American Occupation”. Girls and young women have been throwing caution to the wind, entering into romances and liaisons with the visiting servicemen. And Nell soon discovers that not everybody has good intentions. I loved this book. It is well written and the plot is interesting although not world shattering. But the extraordinary level of research which has gone into producing such a rich and detailed account of Perth during the Second World War makes this such a pleasurable read. So many times, reading about people’s daily routines and family and social attitudes, I was transported to my own childhood growing up in Sydney in the 1950s. The seeming simplicity of gender roles and identities, and of family relationships was of course tempered by the horrifying concerns with what the neighbours might think and the public censure of young women’s behaviours (the stigma of being an unmarried mother, the idea that too much education was “a Bad Idea (sic) for girls” p.68). But it was edifying to recall the hardships of rationing and the very real anxieties of the time – families losing husbands, fathers, sons and brothers, the antagonisms of having large numbers of Yankee soldiers in town, and the hardships of daily lives. It is an escapist crime romance and at times I did feel I was in the middle of a Mills and Boon classic with the description of the heroine’s breathless passion for the handsome American war correspondent – “I seemed to lose myself entirely in the sensation of his mouth against mine and the feel of his body as it pressed against me…”(p. 233). 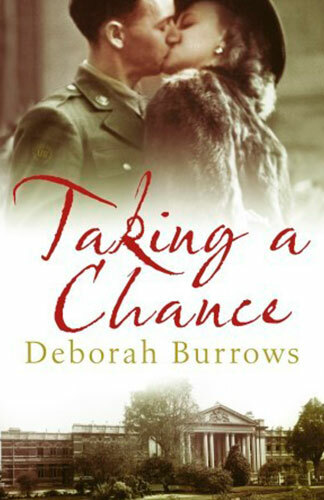 But it is a real and true representation of social mores and personal relationships of that period, and Burrows is steadfast in portraying this consistently and that is a delight indeed.